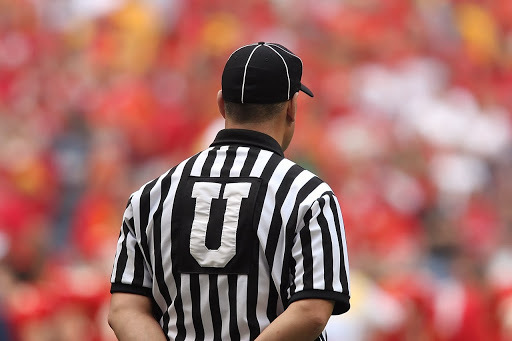 Throughout the month of August, football fans in Maryland have watched their hometown Baltimore Ravens triumph in a very successful preseason run. But after the Thursday night Redskins vs. Ravens game on August 30, the regular season is officially upon us. For Ravens fans everywhere, that means it’s time to dust off your cooler, stock up on condiments, and get ready for 17 weeks of tailgates and game day parties. Don’t settle for an average game day bash-- whether you’re hosting a casual tailgate with a few friends or a big party for your corporate pals-- use these tips and tricks to make sure your party is a win. 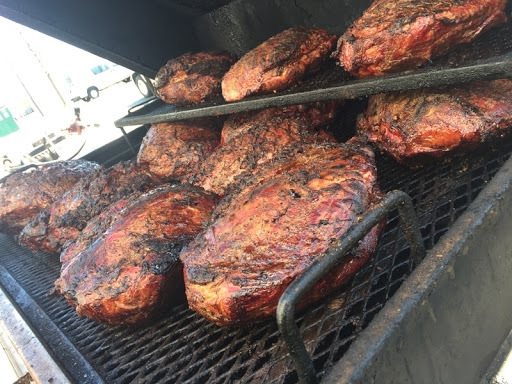 Don’t spend your whole Sunday at the grill-- take advantage of delicious local BBQ tailgate catering instead. 1. Step up your grill game with tailgate catering. Food can make or break a party, and no matter how great of grillmaster you are, let’s be honest-- manning the grill isn’t all it’s cracked up to be. If you really want to be the host or hostess with the most (or most-ess), then it’s time to call in the tailgate catering pros. Smokehouse offers a variety of delicious BBQ options. Whether you’re craving traditional cookout options like fresh angus burgers and all beef hot dogs or you want to make your game day party unique with offerings like Italian sausage, brats, grilled chicken, and more, Smokehouse Grill has got you covered. 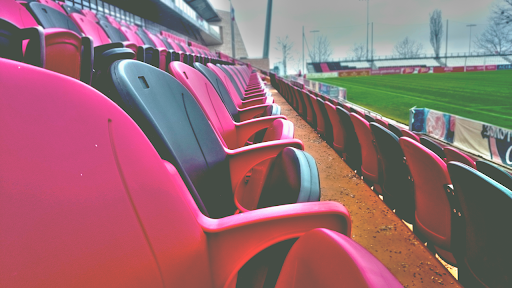 No matter how often your friends are on their feet, you should still be prepared and have a seat for everyone at your tailgate or game day party. Seating. Sure, any good Ravens fan spends most of the game on their feet, but that doesn’t mean you can skip the seating entirely. Whether that means bringing some chairs in from the dining room or throwing a couple extra lawn chairs in the back of your truck, make sure there’s a seat for everyone. Weather. You can’t control the weather, but you can control how prepared you are to deal with it. If you’re tailgating or plan to watch the game outside, check the weather beforehand! If it’s hot you’ll need plenty of sunscreen and water. If bad weather threatens, make sure you have a tent or another backup plan in place. Safety. Coolers full of beer and wine are a staple at most game day parties. Make sure your guests get home safe by offering plenty of non-alcoholic drinks for the designated drivers as well. 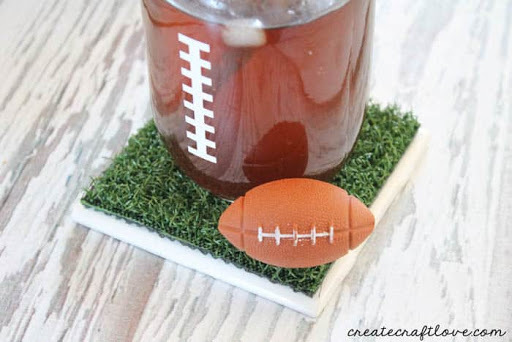 It’s all in the details-- easy DIY projects like these simple astroturf coasters will set your game day party apart from the rest. Image courtesy of Create Craft Love. 3. Create a party atmosphere with game day decorations. Most game day parties are pretty relaxed, which means you don’t have to go all out on elaborate decorations to get the atmosphere right. Instead, incorporate a few simple, DIY touches into your shindig. You don’t have to be super crafty to get the game day decorations right. Take a page from Create Craft Love’s playbook and put together some easy DIY coasters with an astroturf sample from your local hardware store. Or maybe you’d rather paint your beverage bucket like a football or turn your yellow napkins into penalty flags. The possibilities are endless! 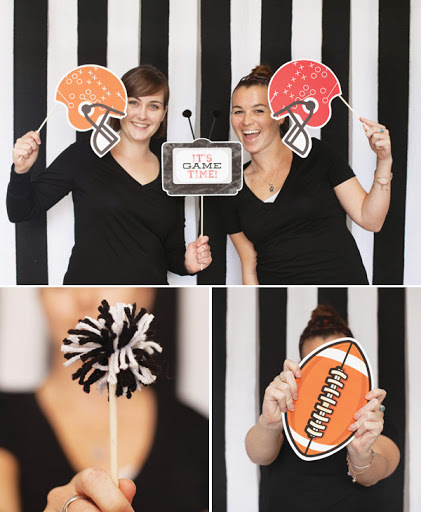 Help your guests hang onto the memories of your ultimate game day party for years to come with a DIY selfie station. Image courtesy of Hostess with the Mostess. 4. Keep people talking about your game day celebration with selfie station. Do you want the world to know how awesome your tailgate, corporate picnic, or backyard bash is? Of course you do-- between finding the best cookout caterer to making decorations, you put a lot of effort into making it fun for your guests! Make sure your friends, family, and coworkers never forget your awesome party by giving them a place to capture #memories with a DIY selfie station. Find an area of your home with lots of natural light and set up some football decorations or bring some football-themed props to your tailgate.  Even if your guests don’t “like” what is happening on the field, they’ll love sharing pics from your party. Add football-inspired details to classic tailgate games like corn hole for a festive touch. Image courtesy of BestBackYardGames Etsy store. 5. Get in the game with football-themed activities for all ages. When you think about tailgate games, one sticks out as the ultimate game day classic: corn hole. To keep your guests entertained before kickoff, try putting a twist on your corn hole game. 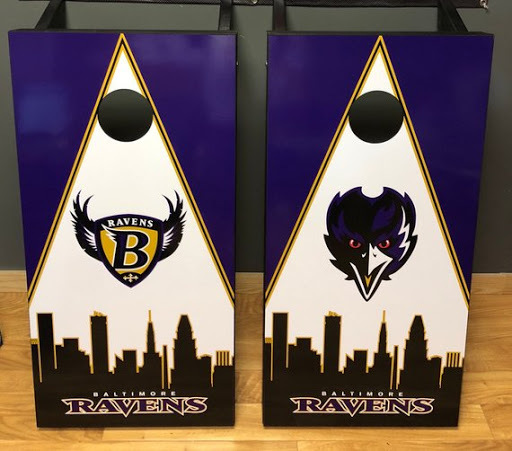 Consider painting (or purchasing) your corn hole boards purple and gold to support the home team. You can also decorate your bean bags to look like footballs. Kickoff regular season football the right way with these tips for the ultimate game day party or tailgate. Now that the regular season is here, it’s time to up your kickoff party game with these awesome tips. Cheer on the Ravens in style with DIY decorations and activities, and make sure your guests have plenty of delicious BBQ and sides to snack on during timeouts. To lean more about Smokehouse Grill’s cookout catering packages, call our corporate number or get an online quote today!